Authentic Sportscenter Swatches. 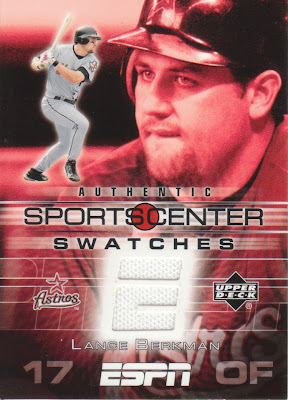 What does SportsCenter have to do with anything on this card? Who knows... still a cool card of a player who goes down as one of my top 5 all-time favorites. Why is he biting his lower lip though? Odd.